Jim Gould specializes in the pharmaceutical and biotech sectors and joined RatnerPrestia after 19 years with Merck & Co./Schering-Plough, most recently serving as a Legal Director at Merck, where he was responsible for patent portfolio strategy, IP due diligence, validity and infringement opinions, tech transfer and licensing, Hatch-Waxman cases, global patent litigation, and issues involving the interplay between FDA and patent laws. Jim continues to specialize in these areas at RatnerPrestia, heading the firm’s Pharmaceutical, Biopharma and Life Sciences Industry Group and recently serving as an expert on patent issues in major federal court litigation in the biopharma sector. Having handled complex pharmaceutical and biotech patent cases for corporate clients throughout his career, Jim brings a strong business background to the firm. He is fluent in German and has enforced patents extensively in litigation throughout Germany and other parts of Europe, as well as Latin America and Asia. In addition, Jim was stationed at Schering-Plough’s European headquarters in Switzerland for several years as Director of European Patent Operations, where he had the chance to further develop his ability to counsel clients on a global basis. He also has experience as a trial attorney at the United States International Trade Commission. Jim frequently speaks on pharmaceutical and biotech patent law and litigation matters and serves as an Adjunct Faculty Member in the Advanced Biotechnology Graduate Program at Johns Hopkins University. Regarding technical subject matter, Jim focuses on cases involving pharmaceuticals, biologics, therapeutic and diagnostic methods, pharmaceutical formulations, biosimilars, stem cells, vaccines, and chemical and biotech process technology. Jim also has expertise regarding the complex issues at the interface of patent law and FDA regulatory law and has handled major pharmaceutical cases involving subject matter such as chemotherapeutics, antivirals, antibiotics, statins, antihistamines such as Claritin® and Clarinex®, monoclonal antibodies, liposomal formulations, phosphodiesterase inhibitors, recombinant erythropoietin, pegylated interferon, vaccines, gene therapy, and inhaled steroids such as Nasonex® and Asmanex®. Jim holds a Master of Science degree in Biotechnology from Johns Hopkins University, Bachelor’s and Master’s degrees from Cornell University, and received his law degree from Penn State University’s Dickinson School of Law. He also studied at Ruprecht-Karls-Universität Heidelberg in Germany on a Deutscher Akademischer Austauschdienst Fellowship. Jim is peer review rated “AV® ― Preeminent” in the Martindale-Hubbell® Lawyer Index (the highest rating for legal ability and ethics in Martindale-Hubbell‘s lawyer rating system), and serves as a member of the Dean’s Trusted Advisory Group for Law and Healthcare at Penn State University – Dickinson School of Law. In his spare time, Jim enjoys skiing, tennis, scuba diving, and traveling with his wife and two daughters. One of his leisure-time goals is to ski as many of the World Cup skiing venues as possible before his knees give out. Peer review rated “AV® – Preeminent” in the Martindale-Hubbello Lawyer lndex (the highest rating for legal ability and ethics in Martindale-Hubbell’s lawyer rating system). Appointed to the Dean’s Trusted Advisory Group at PennState University – Dickinson School of Law. 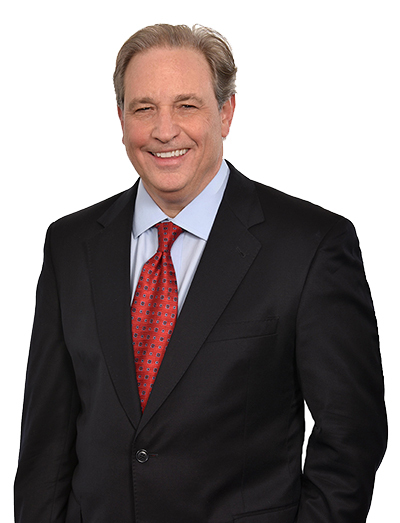 Named a “Top Rated Lawyer” in The Philadelphia lnquirer, Philadelphia’s Legal Leaders. Adjunct Faculty Member, Johns Hopkins University, Advanced Biotechnology Graduate Program.